We even got a minecraft style pumpkin. 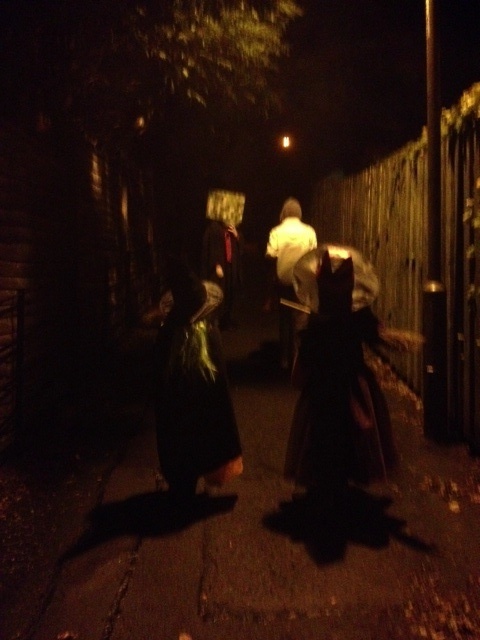 Halloween and my jolly gang of four loved going guising and entertaining the guisers visiting us. Teenboy was not interested in dressing up but still enjoyed the sweets his siblings and their pals returned home with. 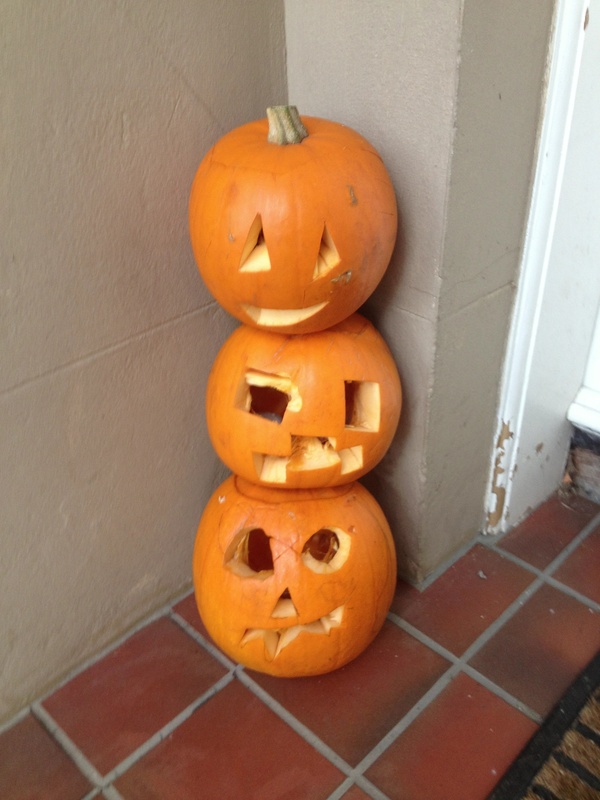 He did do a pumpkin though, in a kind of minimalist way, it’s the top one. Pumpkins are so much easier to do than the turnips we spent hours and hours hacking the centre out of when I was a girl. Hate to say this – but these pumpkins look so much better than the turnips ever did. Picture quality is pretty poor but it captures the mood perfectly as we trooped up the lane last night. This song always grabs my attention when it comes on the radio, have a wee look at their other videos, especially Radio Ladio, F’s favourite. I think you’ll see why.